Managed Service Providers have been warned to be more careful with disaster recovery plans, or risk being blamed and losing out to rivals. According to a white paper written by IT expert Richard Tubb, along with cloud provider Doyenz, a lack of testing is leaving MSPs vulnerable to loss of backed up data. 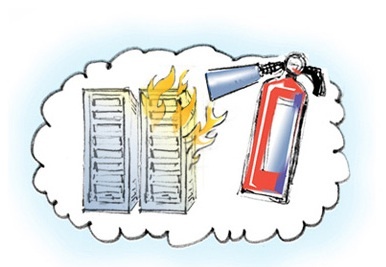 Off site disaster recovery is apparently viewed as a major attraction to businesses and organisations looking to use cloud computing. However Tubb believes that many SMBs are neglecting to perform thorough checks on back up plans to ensure that critical data is available should the unexpected occur. In fact, firms which are not offering their advice on disaster recovery are in many cases liable for blame when a client suffers a disaster. Tubb argues that such a situation can leave them flailing in the wind as they rush to help clients, and could mean clients ”will have to seek assistance from a rival MSP”. What is needed to avoid this is a frequent timetable of testing backups. It might not be fun, but the laborious job is a necessary one and could prove vital in the long run. With many firms offering back up services, as tape back up being updated with cloud storage technology, resellers have to ensure they are adequately prepared to fight off competition. The challenge for MSPs is that they have to look after numerous clients, with most back up services aimed at individual SMBs. Tubb says that MSPs need to be able to monitor client back ups easily to keep up to speed with the latest status of it client back ups.